The second trip to Texas for the season, the AAA Texas 500 takes places in the latter stages of the Chase for the NASCAR Monster Energy Cup, making it a crucial stop to any championship run. The O'Reilly Auto Parts 500 is the first of two stops at Texas Motor Speedway for the Monster Energy Cup circuit. Get the lay of the land and see what Texas Motor Speedway has to offer.  The first race at Texas Motor Speedway was held on April 5th, 1997 and was won by Mark Martin. Two years later Texas Motor Speedway hosted its first night time IndyCar race, a heated controversy between Arie Luyendyk and Billy Boat. At one time, Texas Motor Speedway was considered the fastest non-restrictor plate track on the NASCAR calendar, boasting speeds of over 196 mile per hour. The track record for speed was set by Paul Tracy, who attained a speed of nearly 240 miles per hour. In 2001, the Firestone Firehawk 600 had to be cancelled because drivers were attaining such high speeds during qualifying and practice that the G force they experienced on the track was too much for human safety. Jimmie Johnson has harnessed the fast track enough to claim six career wins out of 18 top ten finishes at Texas Motor Speedway. The Texas Motor Speedway currently hosts races for the NASCAR Monster Energy Cup Series, Xfinity Series, Camping World Truck Series, and Verizon IndyCar Series.